I am going to show you the same simple Forex trading system here. However, I make it a little simpler, safer and a little mechanical, so that you wouldn’t need a lot of candlestick knowledge, and you will take safer positions. 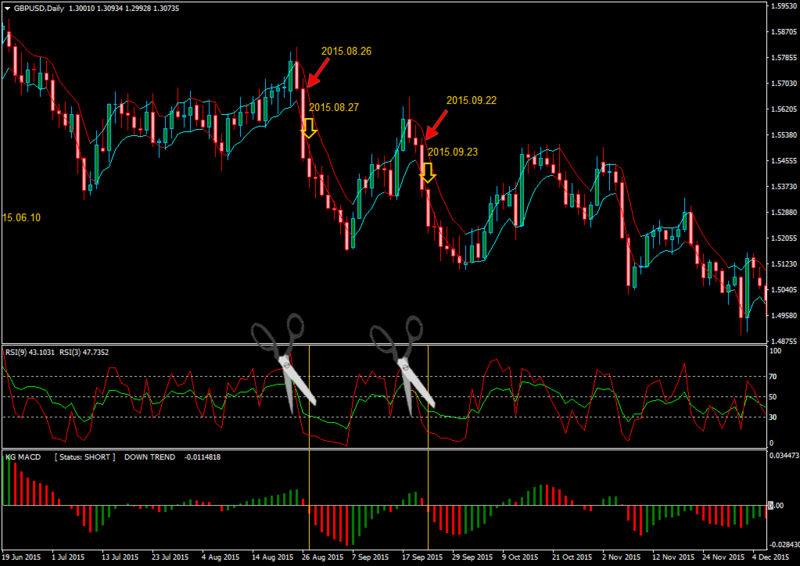 FX_Snipers_MA which is a kind of moving average. Click Here to download. KG_MACD_TA which is a special kind of MACD. Click Here to download. If you open a price chart, you can add the indicators to it. 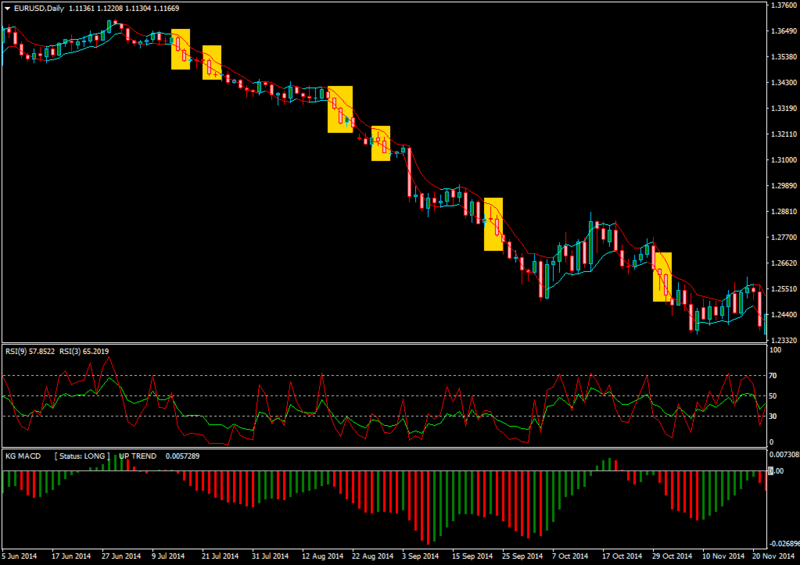 To create the price chart with these indicators, just download and install this template and apply it to each chart. To apply the template to your charts, right click on this link and then click on “Save link as” to save the template file on your computer. Then right click on your price chart, click on “Template”, and then “Load Template…”. Then locate the template file on your computer, and click on it. If you don’t have such a chart now, please do the indicators installation once again and make sure the files are in the right folder. Unfortunately, I can’t help you if you cannot have the above chart on your platform, because I don’t have access to your computer. Please do your best to follow the above stages precisely. It is very easy. If you are not good enough with computer and you have a hard time with the indicators installation, please ask someone who is good with computers to do it for you. Of course the above video shows all the stages. So watch it carefully. How Do I Use This Simple Forex Trading System? I sit at the computer, after the daily candlestick close which is at 5pm EST. I check the charts, take my positions in case I find any setups, and then close my computer. I will share the positions with you. So stay tuned and make sure to follow me. As you see, I don’t have Bollinger Bands on the charts, because I want to make the system easier. However, you can add it if you want. It will not make any problems. Like my mentor, Chris, I like to keep my trading, business and life, as simple as possible. I enjoy them more when they are simple and easy to handle. In this system, we use the candlestick signals, but we don’t have to be candlestick experts like what Japanese traders are. We use RSI and KG-MACD to make the work simpler and safer, not harder and more complicated. 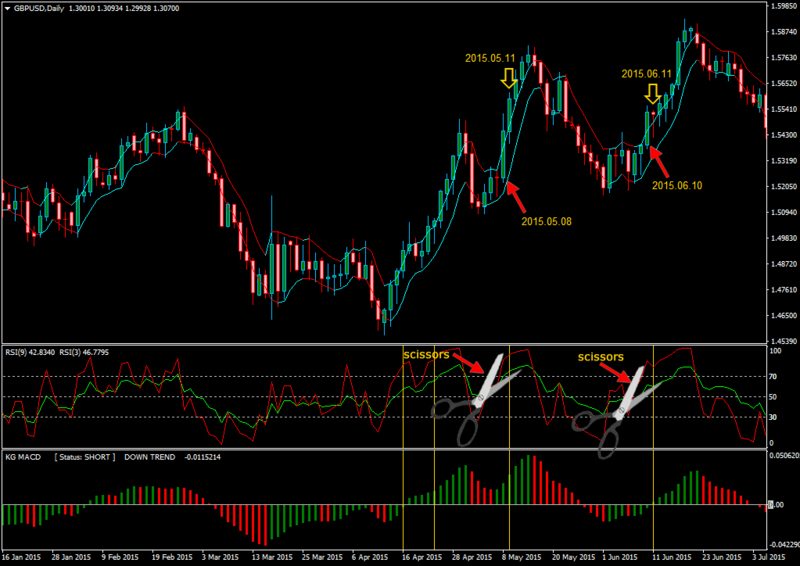 We have two FX_Snipers_MA indicators. One is set to 1403 an the other one to 1402. That is why you see two moving averages on the candlesticks. 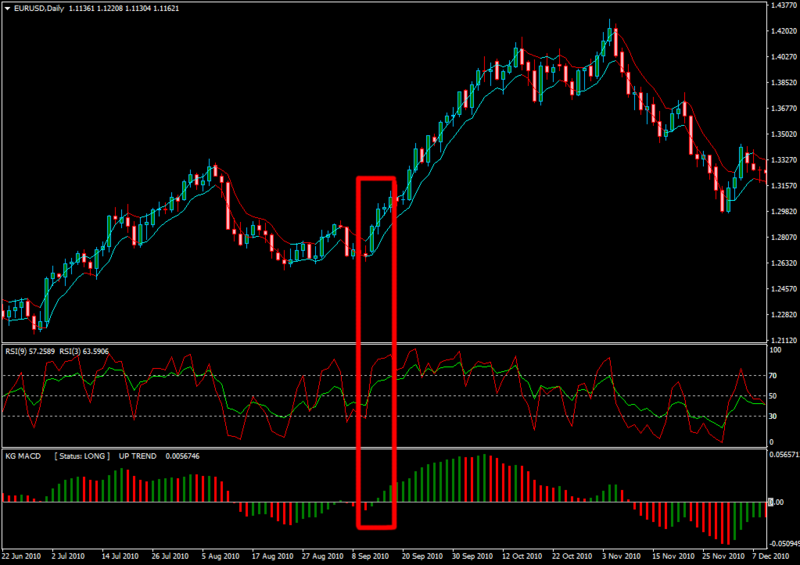 We have two RSI indicators also. The lime (green) one is set to 9 and the red one to 3. KG_MACD is the last indicator we have. There is no settings to change with this indicator. We just use the candlestick breakouts with these moving averages. They don’t give us anything else. 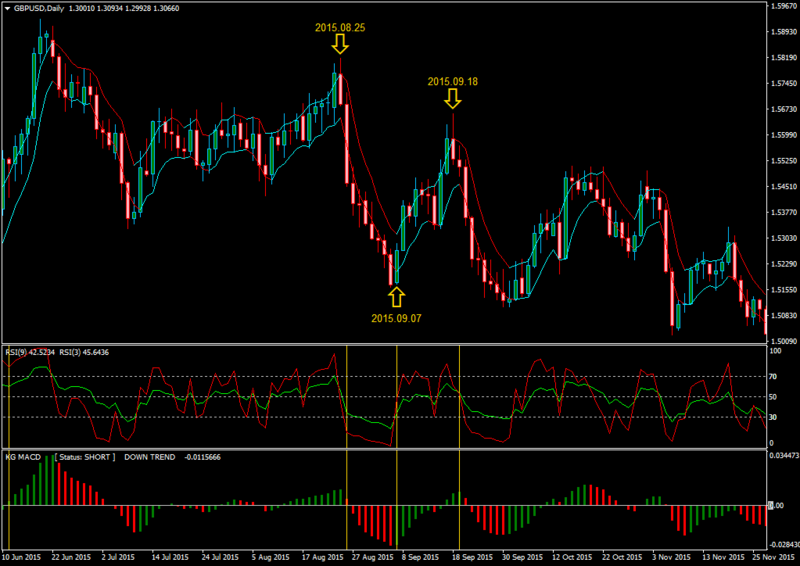 RSI(3) is faster and reaches the overbought/oversold area sooner. But when RSI(9) also reaches the overbought/oversold area, most probably we will have strong movements that will make some money for us. KG_MACD is on our charts as another confirmation. We can remove it if we want. But it helps. Candlestick 2015.04.15 body has touched the upper FX_Snipers_MA. RSI(3) is on the overbought area. 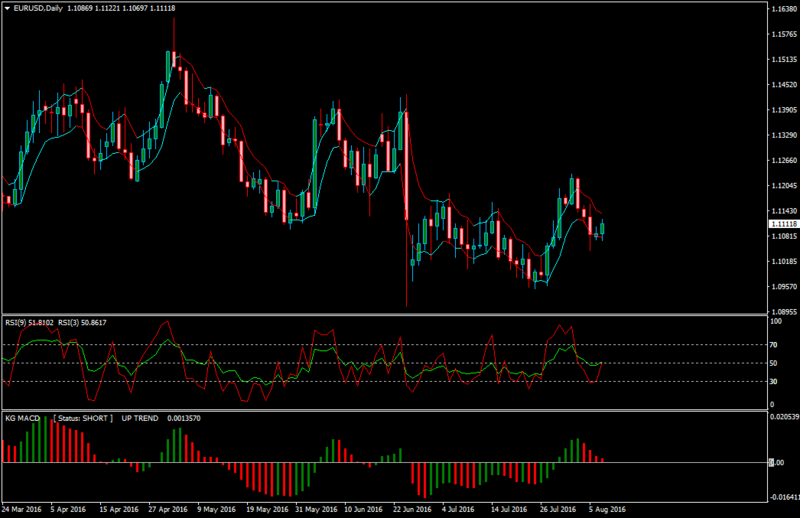 RSI(9) is above 50 level and is going up. RSI(3) and RSI(9) have formed scissors. So far, this trading system has been mechanical and although we used candlesticks, we didn’t have to know anything about the candlestick patterns. So it is an easy, yet strong and profitable system. The above setups I showed you, are almost continuation setups. I mean, a movement is already started, but we follow it after a few candlesticks that make the indicator go to the situation that we want. The above setups are not fresh reversal setups. However, we can take the fresh reversal setups with this systems too. These are the fresh reversal setups. We take the positions at the open of the candlestick that opens after the candlestick that the yellow arrow shows. I think I am done with describing the trading system. In the next posts, I will analyze the live markets, and will show you the formed setups to help you master the trading system. I check the markets after the daily candlestick close which is at 5pm EST, and I will share the formed setups that I locate after that. So, stay tuned. I know this system is mechanical, but there are a few things that if you consider, you will have a much higher success rate. Trading the slow and ranging markets will have a higher risk and you will have a lower success rate. The reason is that money doesn’t flood in such markets and the big players are sitting on the fence. Therefore, the setups are all fake and are not because of the big players participation. How to know whether a market is ranging? First, don’t zoom in too much. It causes you not to see the market overall picture, so that you don’t know whether the market is trending or ranging. I am not saying all the setups that form on the ranging markets will hit the stop loss. You can make money on the ranging markets too. However, you will have a lower success rate. On all the long trade setups, RSI(9) has to be above the 50 level and RSI(3) above the 70 level which is on the overbought area. When both of them reach the overbought area and keep on moving on it, then we have a strong trend that can make a lot of money for us. Generally, you will make profit as long as RSI(3) is moving on the overbought or oversold area and RSI(9) also joins it. A trade setup that forms when both RSI(3) and RSI(9) are on “over” areas is a literally great setup. If you pick these setups only, you will have a very high success rate. Please also note that your stop loss will be triggered in some of the positions you take, even when everything looks great. This system can easily make you over-trade, because you see some setups on the daily charts every day. It is not like the other systems that hardly form a setup. However, over-trading is your enemy. You should not take all the trade setups you find. You should locate and analyze them, and choose the best and strongest one, and forget about the rest. The other thing is, this trading system works on all time frames. But I prefer to use it on the daily and longer time frames, because I don’t want to sit at the computer all the time. I just check the charts once every day, and I am done. Please don’t think that if you use this system on the shorter time frames, you will make more profit within a shorter time. This is wrong. You will only spend more time and energy and you can wipe out your account sooner than later. So avoid the shorter time frames. I use this system on the weekly and monthly time frames as well as the daily. However, this weekend I didn’t report the weekly and monthly setups, because you’ve learned this system just recently, and I didn’t want to make you over-trade. But from next week I will show you the weekly and monthly setups also. The last but not the least, is about stop loss and target. Never take a position without setting a reasonable stop loss, the way I have above. If you trade without stop loss, you will wipe out your account, whether you are a novice trader or you have been trading for one million years. This is the only thing I can guarantee. Also, this trading system is a set and forget system. Just check the charts at the close of the daily candlesticks, take your positions, set the stop loss and target, and then go and come back the next day. Don’t sit and watch the charts, and probably manipulate the positions. Use my experiences. Don’t try to experience yourself. Almost all trading systems make money, if we master them. Simpler trading systems are easier to master, because they are easier to understand and follow. They also make money. They can even make more money than the complicated systems. So, try to choose a simple and easy to understand system, learn it, and then practice to master it. Don’t try to make it more complicated by adding more indicators or rules. And don’t try to modify it to make it give you more trade setups. You just ruin the trading system if you do this. The most important thing that prevents novice traders from making money, is over-trading, and, greed. You mainly lose because of your greed. You even waste a lot more time because of your greed, because greed doesn’t allow you to become profitable within a shorter time. It makes you lose and lose…, and you will have to practice more to become profitable, whereas you don’t know that it is your greed that doesn’t allow you to become profitable. Your greed pushes you to make more money, but it causes you to lose more money and waste a lot of time. So, you and what you have in you, are your biggest enemies. The trading system is your friend, if you follow it properly. Trend is your friend if you don’t fight it, and you don’t go against it. Market is your friend if you follow it. But your inner demon doesn’t allow you to do these things easily. Just learn a simple trading system and its rules. Learn it as easy as it is. Don’t make it more complicated. Then open a demo account, and check the charts every day, locate a good and strong setup that follows all your trading system’s rules and meets all the conditions. Take your position in your demo account, set the stop loss and target as your trading system says. Repeat this until you master the trading system. 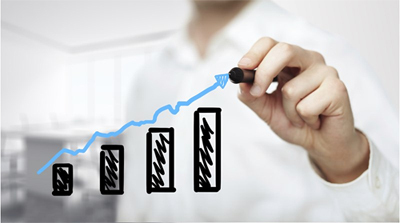 Repeat your success with your demo account at least for 6 consecutive months. I mean you should become profitable for 6 consecutive months. Then open a live account, as small as possible, and repeat the same thing with this account for 6 more months at least. When your live account is too small, you can treat it like your demo account, and so, you will not have emotions. So, this live trading is the continuation of your demo trading. It is to help you master your trading system. It is not to make money for you. It helps you trade without any emotions, specially greed. Forget about money. Your job is taking the too strong setups only. Money and “pips” don’t matter. If you learn how to take the too strong setups properly, then money comes by itself. If you think about money, then you forget the trading system’s rules, and so, you lose. You will become a great trader, if you follow the track I showed you above, otherwise you will not get anywhere, even if you practice and learn for 100 years. I have seen so many traders who cannot make money even after 20 years of trading, because they are still greedy. They know a lot. But they can’t make money. Teach your trading system to a 6 years old child, and ask him to trade. Don’t tell him it is about money. Tell him it is just a computer game. He will make profit. But teach it to a 50 years old man and tell him that the system is about making money and can make him a millionaire. Come back 10 years later, and you will see that he is still losing and has not become profitable yet. Why? Because you taught him a system while you stimulated his greed at the same time. So, his greed doesn’t let him follow the system, because it is much stronger. Unfortunately, it is only in trading that it is like that. In the other businesses, the harder you work, the more money you make. Greed can cause you to lose money in the other businesses too, but in most cases it causes you to make more money. In trading, you will make more money when you are less greedy, or at least when you can control your greed and lower it to an acceptable level. After this relatively long introduction, let’s take a look at the trading system that I taught you here on LuckScout Millionaire Club’s members area. My goal is to make you take the strongest setups only, and avoid the weak and bad ones. many of you ask whether I manage my positions, and for example when an opposite reversal setup forms, I close my positions before it hits my stop loss. The answer is no. I don’t manage my positions, because (1) I try to take the strongest setups, and (2) I take a small risk (2-3%), and so, I don’t get emotional and I let the stop loss get hit if the market goes against me. You itch to check the charts after you enter the markets, usually when you take a big risk, and you lose a lot if the price hits your stop loss. But, when you take a small risk, you don’t care if you lose, because you can easily recover your loss with the next positions you take. So, please be careful about the risk you take. The other question that you ask is that, suppose we are short based on a trade setup formed on the monthly chart. But, a long trade setup forms on the daily chart while we are still short. Do we take the long trade setup while we are already short, or, do we close our short position and go long? The answer is, if you take a too strong setup on the monthly chart, then, usually the lower time frames like weekly and daily, don’t form a too strong trade setup against it. The reason is that monthly chart is the king and when it forms a too strong setup, the shorter time frames follow it, and they don’t go against it strongly. Of course, a lot of things can happen when you are in based on the monthly chart, because you should hold your positions for such a long time. Then, it is possible that the market becomes slow and goes to range, and then, it forms several reversal setups on the shorter time frames. So, you can take them, even if they are against your monthly time frame position. That makes sense to enter the market, make some money and then close the positions, while you are still holding your monthly position. What Is Metatrader or MT4 and How It Works? I Am a Good Forex Trader; What Is My Secret? thank you sou much for your tips. For me, personally, this system is too mechanical. Do you still using trading system based on Japanese candlesticks and bollinger band lines ? Yes, I still use it. I will write more about it. Thanks for sharing your knowledge, Kamel, I think this system is great. Do you know what the settings are for the KG-MACD? Is the average an EMA or SMA or something else? I ask because I use a non MT-4 trading platform so to use this system I will need to manually tweak their MACD to match the one you use. Or if you have other MACD settings that work I’d be happy to use those too! KG_MACD has to be used as it. We can’t change its parameters. It is programmed like this. Unfortunately I don’t have the MQ4 file to share the codes with you. Hi, how do I post a screen shot ? interesting system. 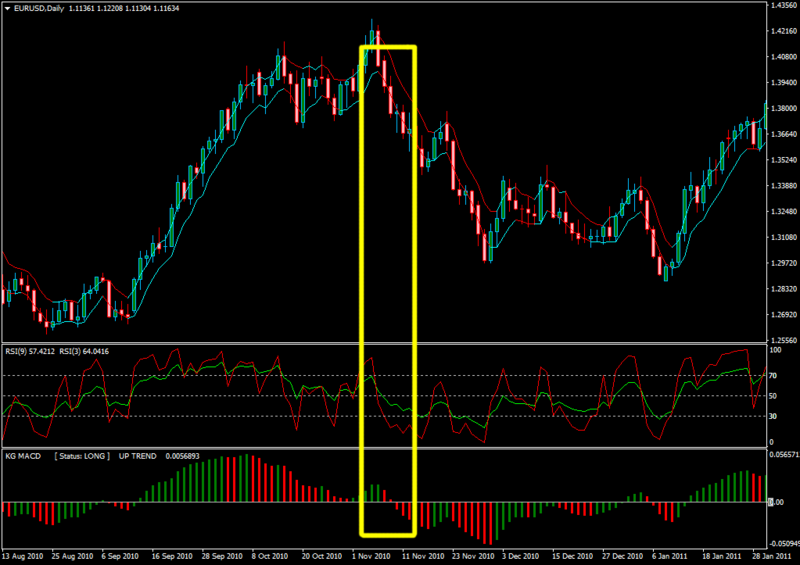 What are the parameters for the MACD? (I want to use this with a non-MT4 Trading Platform). KG_MACD has to be used as is. It is not possible to alter its settings. Hi kamel , I really like your posts they are very helpful,they helped me a lot. thanks to u, and yeah I like Bollinger bands and candlestick strategy. 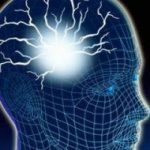 Its really easy to use and profitable, I can’t wait read more about it..
Great article Kamel, thank you! I’ve been trying various indicators and settings to confirm daily candlestick signal and its strength, so this is exactly it! And, yes, it is mechanical, but only if one uses it as mechanical. I will try using your system as a confirmation, i.e. if I see a valid candlestick signal, I will compare it with your template and see how it goes. Thanks again! Looking forward to your future posts! PS. I love the last paragraph of this post! Thanks for another great tools and indicators..i find problem in downloding this indicators can you help me..both indicators can not be downloaded.. It works here. I can’t duplicate your problem. Thank you very much kamel. 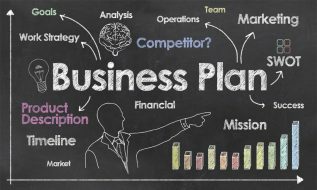 I’ve learned the best strategies from you and. god bless you. but I want to know. is it ok to use two different systems ? i mean this system and the candlesticks + BB ? thank you again for the answer. Yes, why not? You can do that. Our take profit is always 1:1 of our stop loss? You can set larger targets if you want. Thanks Kamel! Useful for trading continuations and ride existing trend and our original candlestick pattern + BB band breakout for reversals. Hi Kamel! Great post. Is it better to wait for the candle to breakout of the MA’s or just a touch is enough? before checking the RSI and MACD. When the candlestick is strong, it usually breaks out of the MA. So we always have the MA breakout with the strong breakouts. Your strategies help me a lot since I’m a novice in the trading currencies. Help me on how to combine/set RSI (9) & RSI (3) in indicator window, I’m struggling to get it right other than having two separate windows. Hello Kamel, thanks for a nice strategy. If you use yourself this strategy then could you please tell me how many trades do you take approximately in a month and on how many pairs do you follow this strategy? Nobody knows how many setups will form. It depends on the markets. 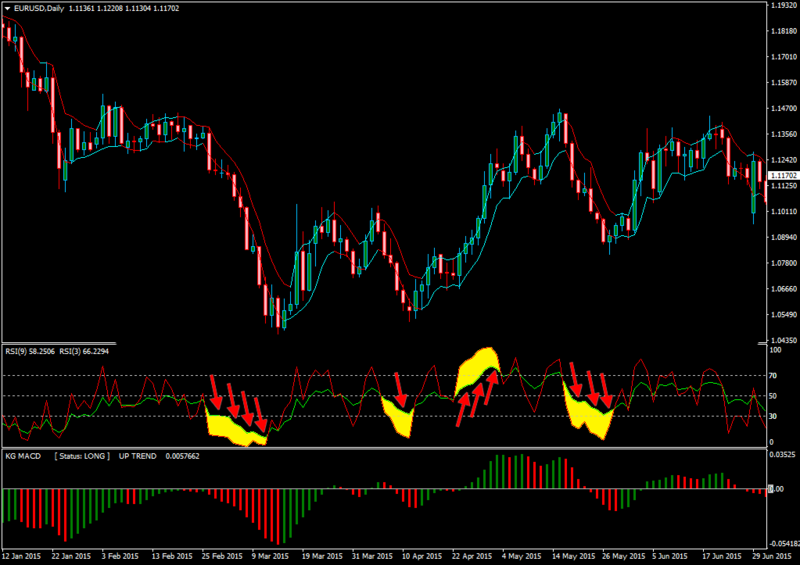 i downloaded the_Snipers_MA indicator.only there was one indicator.on the chart there are two indicators. what are the 1403 and 1402. You don’t have to care about those settings. You can apply the template to have all the indicators on the chart. Hi Kamel, I took these trades, can you comment? 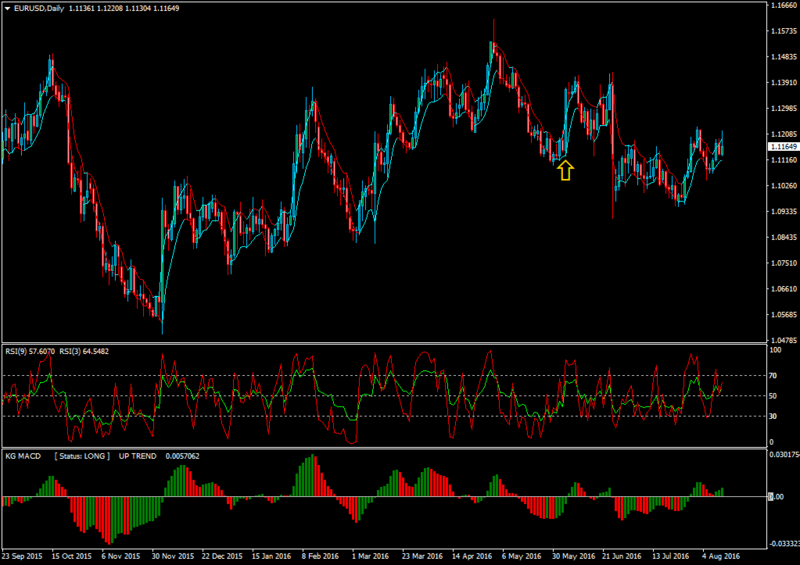 GBPAUD – Strong sell after spinning top and breakout. Time to get serious and start trading full time! Please give me your feedback. Hi, ive installed everything but the sniper only has added one moving average to my chart and not 2 like your article shows? You just need to apply the template file. Thank you for your quick response. I have everything is like the screenshots black background red and blue candles but only one MA when apply the sniper to the chart. 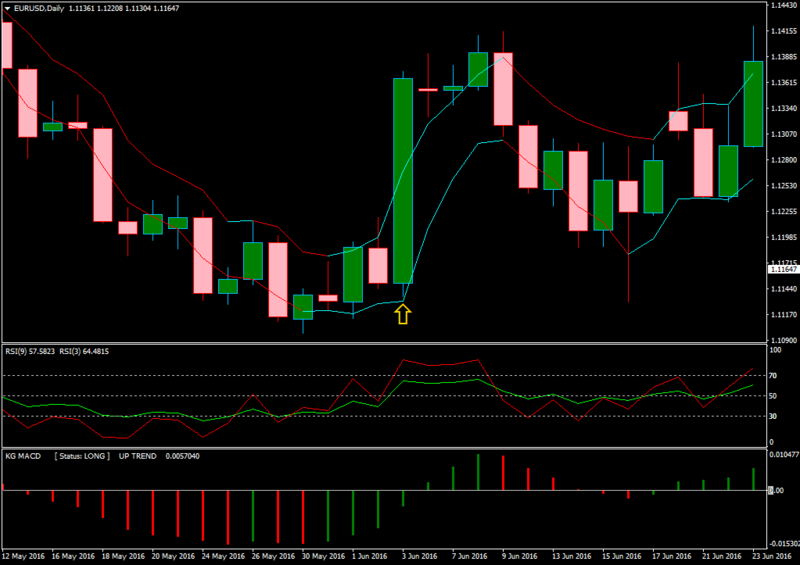 You can apply the template on the charts and all the indicators will appear on them. I will try template again but when I loaded template on the 23 currencies the rsi was there but no moving averages. i downloaded the -SNIPER-MA. it is now in my navigator but the sniper only has one moving average on my chart not 2. meanwhile, there is no rsi 3 and9 indicator. 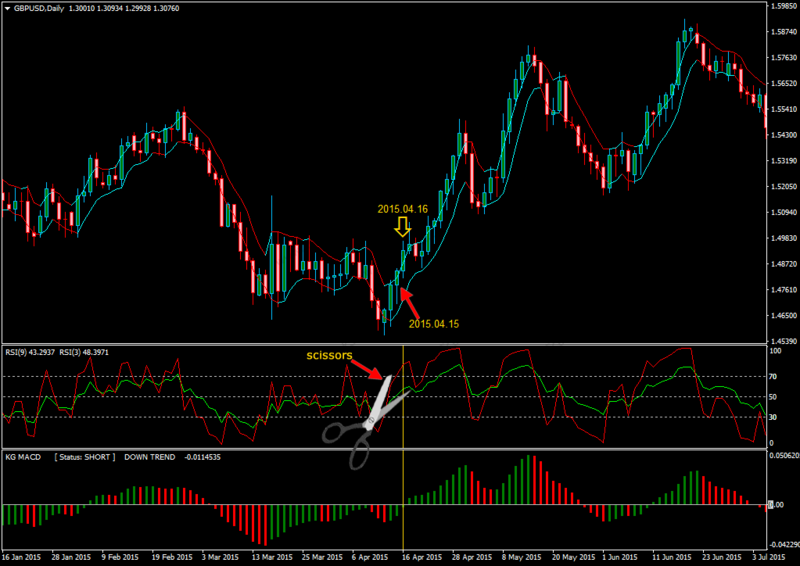 can i add both – indicator and rsi manually? Add the indicator twice and edit the setting to 1402 and 1403. That’s how I got around it. hi….i have downloaded everything as instructed but only the sniper is on my charts,what could be the problem?.Thanks for evrything.Happy trading. You haven’t installed the indicators properly then. Do it once again and make sure all files are in the right place. Thanks for your prompt reply.Much appreciated. thanks so much for the great work you are doing.I remember a while back you wrote about a student of yours called Edward,he posted some impressive results on his demo account…just wanted to know if this system is the same one he used to achieve such outstanding results. We are all’s students and followers and we follow the same systems that he has taught us, with just some very small differences. Im not sure if theirs a glitch in the files but everything is installed properly the indicators are on the left side and the template with them all is in the template folder when I right click on graph to load template the template is there and when clicked it loads up without the sniper and kg macd. When try to add the indicators because the template doesn’t load it all the kg macd loads but sniper is only one average comes on. This is why I think theres something wrong with files? Price type 0 is close price. Price type #1 is open price. Price type #2 is the maximum price for the period. Price type #3 is the minimum price for the period. Price type #4 is median price, (high + low)/2. Price type #5 is typical price, (high + low + close)/3. Price type #6 is weighted close price, (high + low + close + close)/4. I seem to have a bit of a problem with the indicators,i have downloaded them correctly but when i try to attach them to a chart i only get one and not the other.The sniper MA 1 and sniper MA 2 seem not to be on the same chart.Please help. Steve again…….follow up to the above question…..when i load for example sniper ma 1 it appears on the chart but when i load sniper ma 2 it also appears but the sniper ma 1 disappears…just wanted to be clear about my problem.Thank you so much/Kamel. God bless you on such devoted work thanks. 2- put the sniper on your chart. it is 1301. then you can changeit to 1402 . after that put again sinper on your chart and change it to 1403. the result of the two ways are the same. for the RSI, please put them on the chart manually. thanks Mehdi.everything is good now.happy trading and may the PIPS be with you! I assumed that you only hold your open position 24 hours more or less if you open position based on Daily Chart. How long do you usually hold your open position if you based on weekly and monthly charts? It depends on the signal. It can be from one to several candlesticks. Does this work on all currency pairs? I noticed some analysis on Aud/nzd and didn’t think this was one of the 23 currencies followed? In case of a good trade setup, it works with everything while the market is liquid enough. Great. Just one more question. If you make a trade on the opening of Fridays candlestick will you hold it over the weekend because of financing costs? Yes, we usually hold it until it either hits the stop loss or target. the bar has to be below the red line for sell and above for buy. what does mean the bar has to be below red line? which red line? rsi9? I only trade strong reversal candles and only trade the scissors if I catch it at the beginning when candle has touched sniper. Not a candle later that has broke threw sniper even though it still has scissor shape. For me I’m to late and don’t trade. Is there certain setups that you decide which percentage you risk 2% or 3%? No. The 2-3% risk a rule of thumb and has nothing to do with the trade setup. I am getting amazing results with this system. Finally having confidence to trade and be disciplined because of the rules to make the trade. I can’t thank you enough for this article and trading system. Have a question just on reversals because I don’t know if I’m getting lucky. On scissor setups I place my stop loss at bottom or top of candle but on reversals I have been placing my stop loss just above or under the candle open price. Instead of at the top or bottom of it because your image on reversals shows the next candle doesn’t really go near it. On reversals is that a risky stop loss? I depends on the markets conditions. Sometimes you get lucky for a while your tight stop loss doesn’t get hit. Sometimes they get hit consecutively. There is no special rule for the stop loss and target. I know you trade gold and silver. But does this system work with indexes like FTSE 100 and S&P500 for example? It works on all the liquid markets.